Dr. Andrew Nelson graduated from the Loma Linda University and completed his residency program at the Loma Linda University. He is specialized in Radiology and board certified in Diagnostic Radiology. 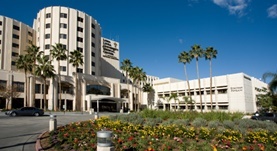 Dr. Nelson has been in practice for more than 6 years and is affiliated with Loma Linda University Medical Center. During his career, he has also contributed to five publications of clinical interest. Dr. Andrew Nelson has contributed to 3 publications. Partnerships in translation: advancing research and clinical care. The 14th Annual HMO Research Network Conference, April 13-16, 2008, Minneapolis, Minnesota. Greenlee, R.T., Coleman, L.A., Nelson, A.F., Selby, J.V. ; Clin Med Res. 2008 Dec.
Partnering care delivery and research to optimize health. Coleman, L.A., Kottke, T.E., Rank, B., Reding, D.J., Selna, M., Isham, G.J., Nelson, A.F., Greenlee, R.T.; Clin Med Res. 2008 Dec.
Kottke, T.E., Solberg, L.I., Nelson, A.F., Belcher, D.W., Caplan, W., Green, L.W., Lydick, E., Magid, D.J., Rolnick, S.J., Woolf, S.H. ; Ann Fam Med. 2008-09-01.